The impression of paint strokes in the graphic communicates the idea that this is an artisan, hand-made product. 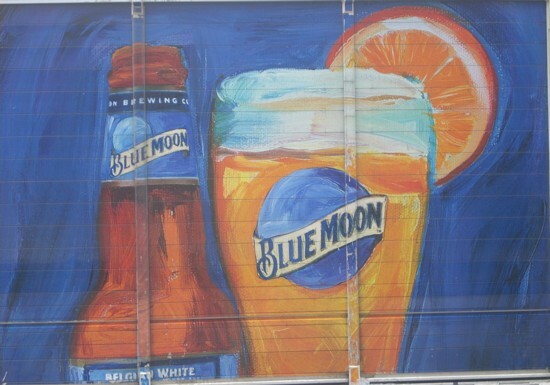 The orange slice silently suggests Corona, with Blue Moon as the better tasting beer. 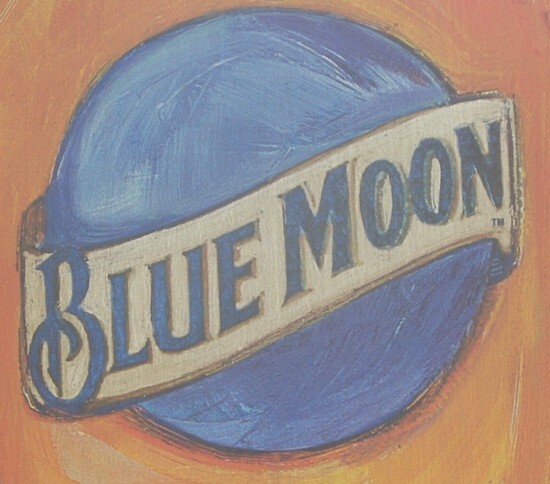 The bright orange circle with the lines radiating from the center also provides a hypnotic spiral, as does the small blue moon logo in the diamond up-ended square on the side of the truck.